This post may contain compensated links. Find out more in the disclaimer. With all of our travels, the type of environment we end up in can vary drastically. Because of this, we wanted a boot that could handle a wide variety of our children’s activities. We needed something that would keep their feet dry, warm, during wintery activities. And yet have slip-free soles for climbing, jumping and scrambling. We had tried various rain boots, but all seemed to lack in one category or another. That is until we finally got around to trying Bogs rain boots for kids. You can check out the prices and availability of these boots here. Why Did We Choose Bogs Kids Winter Boots? We had frequently heard chatter on the parent boards about the quality of Bogs products. But we had been put off a bit by the higher price tag for a pair of the toddler Bogs. After a few epic boot failures, we finally decided that we needed to bite the bullet and try Bogs for kids for ourselves. We may never look back. When we first picked up the rain boots for toddlers, the quality of build was immediately evident. There is no cheap plastic or rubber anywhere on these rain boots. The soles are built with excellent tread made with grippy non-marking rubber to avoid slips and slides while splashing through puddles. The upper part of the boot, rather than a continuous piece of low-grade rubber is actually a soft, flexible, waterproof fabric. 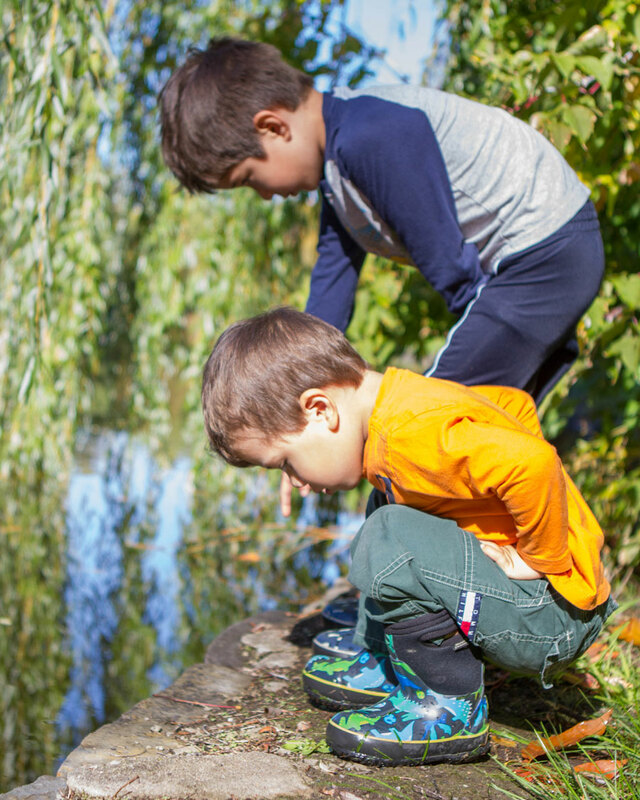 This offers a huge advantage over almost all other kids rubber boots in the market. The fabric makes movement in the boots significantly better than any other boot we had tried, all while remaining 100% waterproof. Another interesting feature of the Bogs rain and snow boots is the easy-grip handles built into the leg of the boot. While at first, this seems like it lowers the water fording depth of the boot, it actually serves a good purpose. By having the handles built into the strong fabric of the boot, you avoid the risk of tearing the boot handles off when pulling them up. This is something I’ve done too many times. 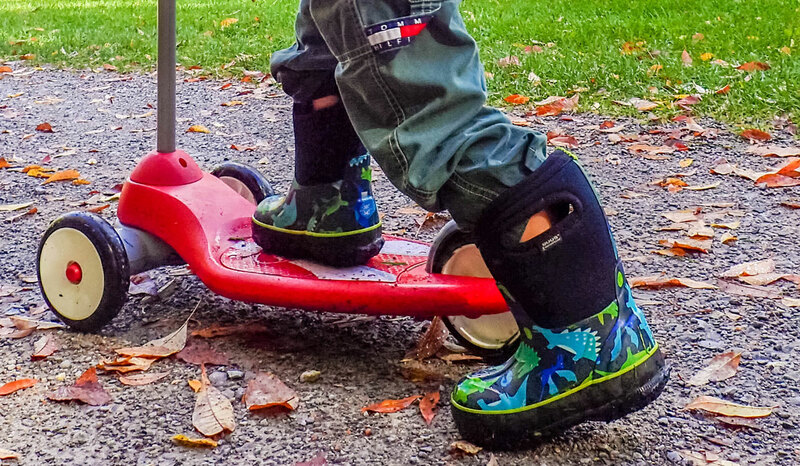 We chose the Bogs kid’s winter snow boots over the Bogs rain boots since they seemed to be more versatile muck boots for toddlers. The light insulation in the winter boots was enough to keep them dry and warm in the winter. And the breathability made it comfortable while hiking in creeks and streams in the summertime. We had been concerned at first that the boots would be too warm in the summer. But that wasn’t the case at all. Bogs make excellent snow boots for kids. But when we took our boys dog-sledding in Yellowknife, Northwest Territories, we opted for something a little warmer. 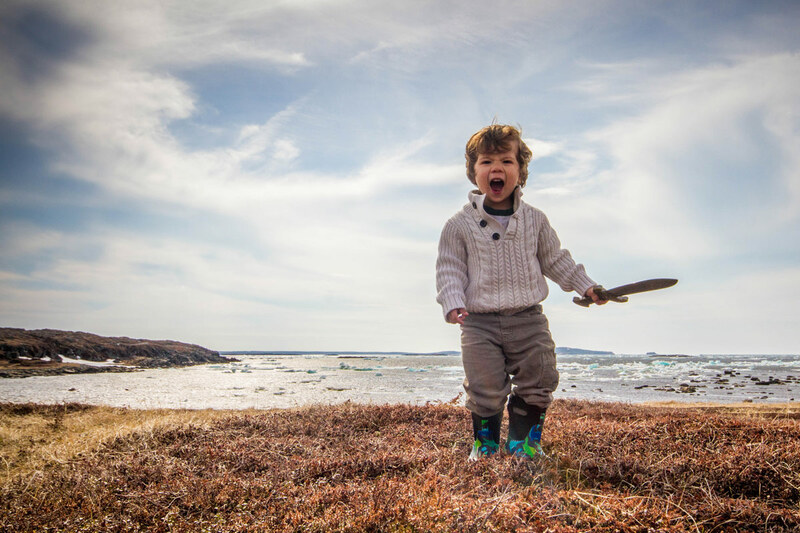 We felt that the Bogs kids snow boots weren’t quite up to the deep freeze of Canada’s north. Instead, we opted for a boot with a single purpose in mind. The Kamik Snowbound. While the Bogs kids winter boots are rated down to -30°F, anyone who has hiked with cold toes, knows that the risk just isn’t worth it. 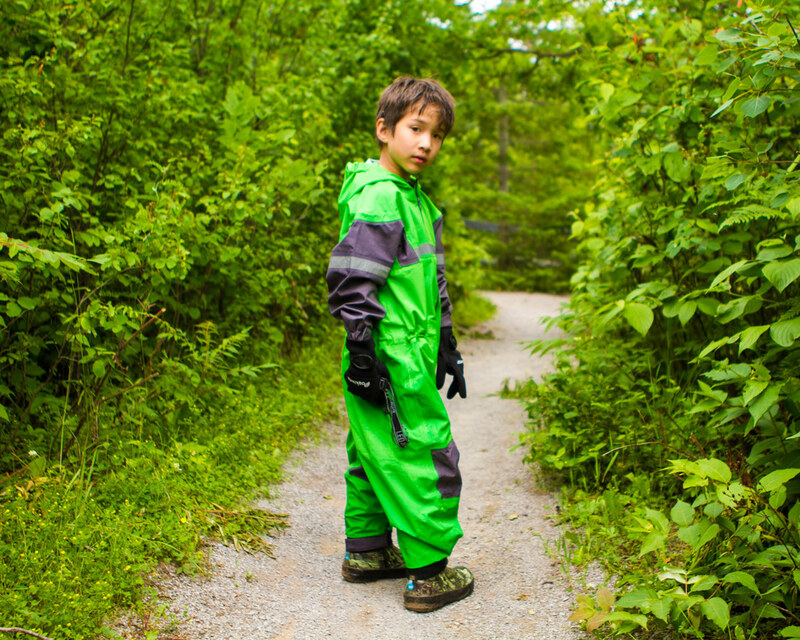 While Bogs may not be the perfect kid’s winter boots for those in the extreme north. They are still a very capable boot for winter climates. 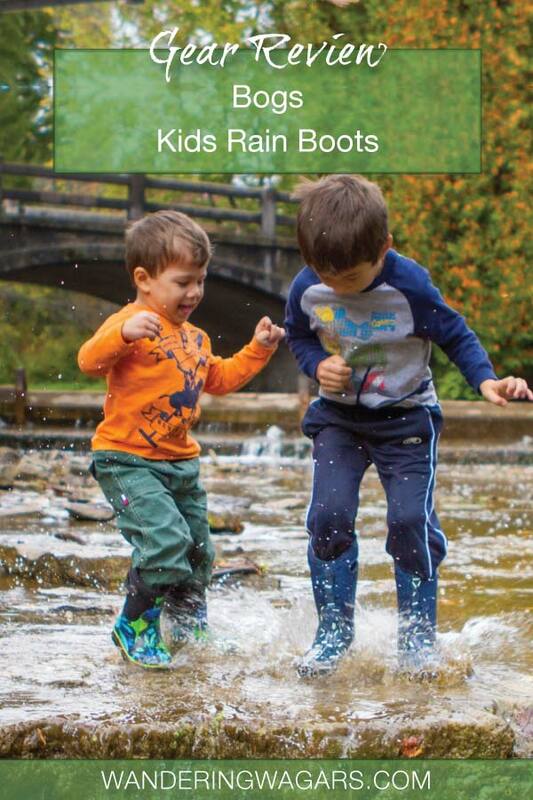 And they are perfect for most kids rain gear needs. In fact, we still use Bogs as children’s snow boots quite often during the winter at our home near Toronto. The reason we stand behind our Bogs rain gear is the versatility and quality. 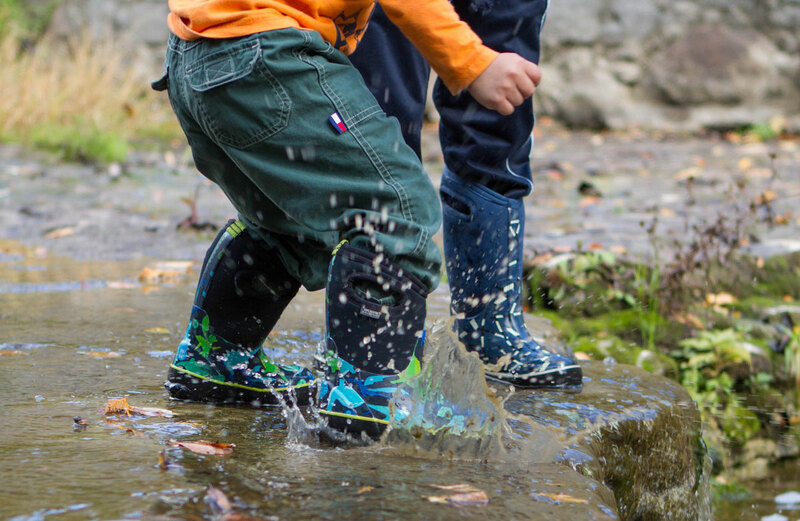 During our search for children’s rain boots, we hadn’t thought that a winter boot could offer year-round comfort and protection. But we have found that during 90% of our outings throughout the year, these toddler snow boots are up to the challenge. 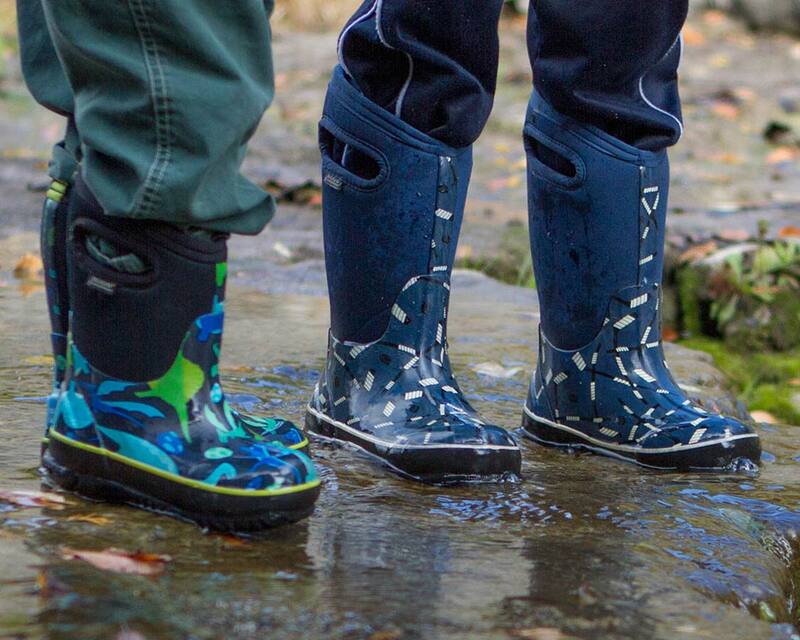 Would we Buy Bogs Rain Boots for Kids again? We have been very happy with our experience with the Bogs kids winter boots. 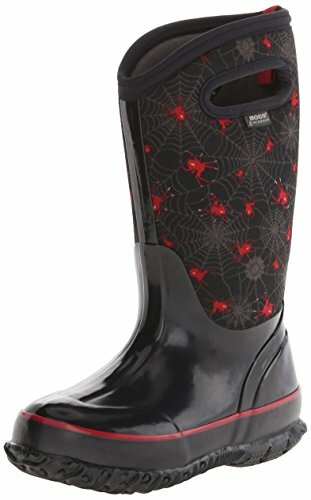 Although they are pricey compared to other rain boots for toddlers, the quality of build is exceptional. And we have likely saved money due to the boots versatility and reliability. They are comfortable, practical, and offer a classic style that should fit the needs of most parents and children. If you are looking for a great all-season boot for kids. Bogs are definitely worth trying. You can find the latest prices for the Bogs Boots here. This product was purchased by us and not sponsored in any way. All opinions are our own and we strongly encourage everyone to test and research products personally before making the decision to buy. Your experience with this product may differ from ours. Wandering Wagars is a participant in the Amazon Services LLC Associates Program, an affiliate advertising program designed to provide a means for sites to earn advertising fees by advertising and linking to amazon.com, amazon.co.uk, amazon.ca. Amazon and the Amazon logo are trademarks of Amazon.com, Inc. or its affiliates. Sending this to my cousin who has been looking for something similar for her little boy. Great review! They look amazing. Could definitely have done with those yesterday when we wine to a very muddy pumpkin patch with my six year old niece. I love these shoes. I am the kind of person who likes to have shoes that can “fit all weathers” be it rain, snow, mud etc. 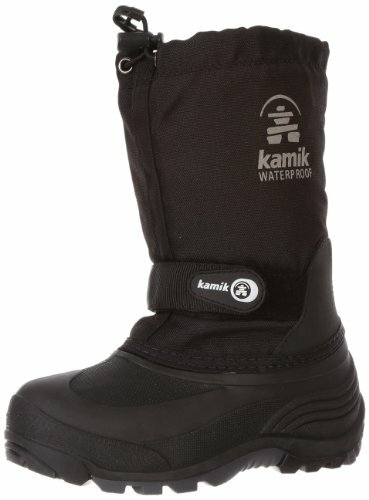 These look perfect for winter/snow and rains. I love how colorful they are – I bet the kids love em! Wish I had boots like this when I was a kid! They’re super cute! Thx for the info, Kevin. I think I need these for myself! It’s so hard to find good boots. I don’t have kids yet, but this is a great review! I’ll have to send this link to my cousin who has two little boys – these would be perfect for them! These are the types of reviews I like. An endorsement of a product that is not sponsored, so the opinion remains truly your own. So glad the boots have served your kids so wonderfully! This is so useful I’m linking it to a friend who lives in a snowy place. Glad you shared, we all want our money to be well spent and reduce waste when the product doesn’t do what it should, such detailed review helps! I really agree that in a product like rain boots or winter boots quality is number one. Thanks for your honest review of Bogs Kids boots. Sounds like they’re worth the price! The boots look perfect for kids. The right balance of comfort and toughness. The handles look really very convenient in helping kids get into the boots. Handles on boots for kids is a good idea. Makes things so much more easier. These boots look good on the kids. If I ever need to buy them, will be referring to this. Will have to get a pair for my kids! They sound so versatile, practical and convenient. Easy on handles is a very thoughtful thing by the manufacturers.